Dream Big Dance – In May at Georgia Aquarium – Making Connections. Finding Solutions. Dream Big Dance is a prom-like atmosphere at the Georgia Aquarium for individuals with disabilities 16 and older. 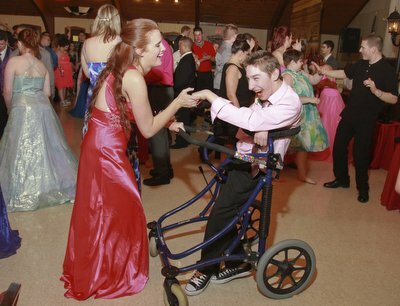 The dance will be an evening where dreams come true for many – a dance at a fabulous venue – the Georgia Aquarium. Each participant will be greeted with a red carpet experience and have an opportunity to have a partner for the evening. There will be a place for the parents/caregivers to hang out for the evening. We look forward to a wonderful evening that produces memories!